16 December 1959 (Wednesday) Today at 11:44 A.M. C.S.T., Abbie gave birth to a son (our fifth child and 2nd son). Wt. 3700 gm = 8 lbs. 2 1/2 oz Length 52 cm. 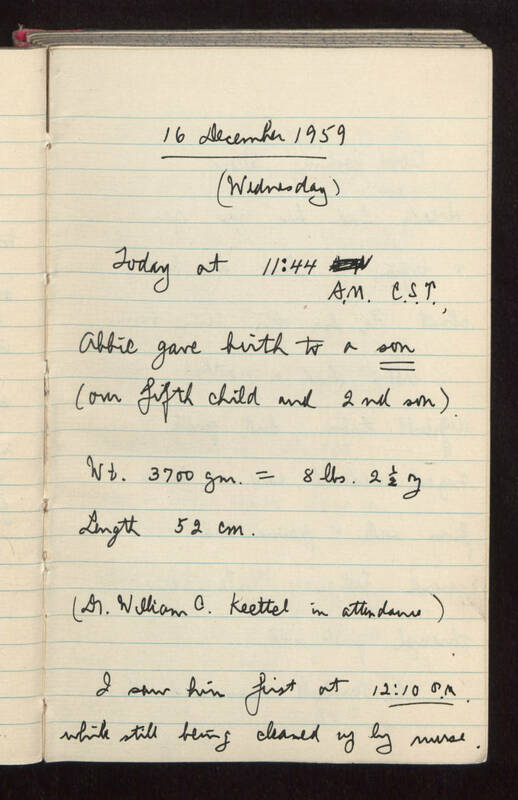 (Dr. William C. Keettel in attendance) I saw him first at 12:10 P.M. while still being cleaned up by nurse.